SIIT ensures that all assessments and evaluations be done in accordance with the assessment criteria of relevant training packages(s) and in line with Standards for RTOs 2015. An assessment system includes not only the actual materials used directly in conducting assessment, but also policies, procedures and other supporting documents that inform the way assessment is conducted within your RTO. ability to integrate performance with understanding, to show they are able to adapt to different contexts and environments. 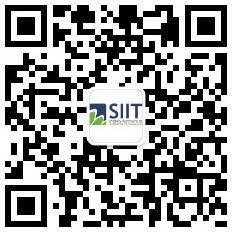 SIIT ensures that assessment is a controlled and ordered process that is designed to ensure that assessment decisions are fair, valid, consistent, and reliable, in relation to individual student(s), different assessors and the current situation. reviewed on a regular basis, with trainers and assessors, students and management (and possible validation and moderation partners) input. There is a Training/Assessment Plan for each qualification registered on the scope of SIIT. The plan is developed by assessor(s) that includes competencies to be assessed, the assessment schedule, assessment processes, methods, and instructions for students. Students are provided with a copy of the Training/Assessment Plan at the time of enrolment. Updates will be provided to students when changes occur. At the commencement of the course, learners are advised of the general assessment tasks, criteria and requirements of each unit of competency they will need to attain for the issuance of relevant qualifications. All learners complete relevant assessments along with the training schedules and then submit the completed assessments for marking with signed statement of authenticity. Most of the assessments need to be submitted through MOODLE, our online learning platform. All Learners will be provided with a unique online MOODLE learning platform password. By signing onto the online learning platform, the Learner automatically signs and acknowledges an authenticity declaration as part of submitting their assessments. The Academic Manager/Program Manager/respective trainer will ensure that learners’ submitted assessments are all signed and dated with a statement of authenticity. The Academic Manager/Program Manager will ensure that all assessment will be marked/evaluated within 10 working days following the date of submission, unless otherwise agreed. The appointed assessor returns the marked units assessments (Competent or Not Yet Competent) with signed assessments feedback sheets to learners and notify the Program Manager or update the result into the system within 10 working days following the date of submission, unless otherwise agreed. If being deemed Not Yet Competent in an assessment, Learners will be offered the opportunity to resubmit. Learners are given another opportunity to resubmit an assessment. If non competency of resubmitted assessment leads to non-issuance of the qualification, written advice must be given to the Learners within 15 working days. There is a fee attached for additional re-submissions of assessment. The Learner has the opportunity to dispute the assessors’ decision and request for re-assessment according to SIIT’ complaints and appeal policy and procedure. The Academic Manager/Program Manager will ensure that all learners’ assessments as required have been marked as competent before recommending certificates and/or statement of attainment and/or statement of results. All records will be scanned and stored in the Learners’ academic folder, which shall be securely stored. All assessments submitted by Learners, assessment feedback by the appointed assessor(s), resubmitted assessments, appeals etc. will be scanned and stored in the Learners’ electronic folders. The CEO/Academic Manager will ensure that no qualification/certificates/transcripts will be issued until the final assessment checklist has been submitted by the Program Manager with the signature(s) of the approved assessor(s) with all assessments marked as Competent.